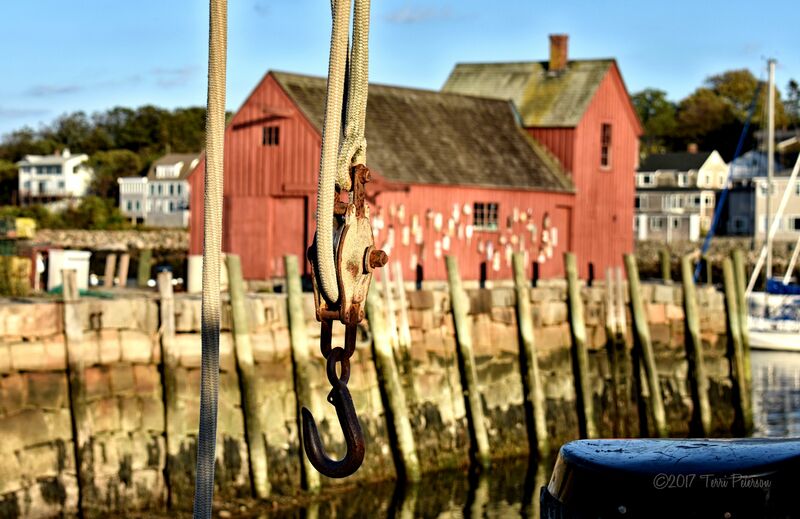 Perched at the very edge of Bradley Wharf in Rockport, MA, stands a picturesque, red, weathered fishing shack known as Motif #1. Originally built in 1840 as an actual fishing shack, Motif #1 was so named by Lester Hornby, an art teacher in the early part of the 20th century. His students chose to paint the building–with its interesting lines and gorgeous location–more often than anything else, so he jokingly referred to it as such, and the name stuck. Now it’s a landmark owned by the town, and I’m not sure how much fish-related action goes on inside its walls. Motif #1 is often cited as the most painted building in America, the top selection among art history students and painters alike. It’s certainly appeared in its share of photographs, too. Lotta fish ended up on that hook, I bet. Fun fact: You may recognize Motif #1 from the Sandra Bullock movie The Proposal; Rockport doubled for Sitka in that movie.